Cover Story, a fast fashion brand for women by Future Style Lab, launched its new store at Inorbit Mall, Hyderabad. This is Cover Story’s 23rd exclusive store with an existing presence across Mumbai, Delhi NCR, Bangalore, Surat, Pune, Kolkata, Chennai, and many other cities. The store is spread across 1700 sq. ft. area, at a prominent location in the mall amidst the most fashionable brands around. The sprawling area is an apt location for Cover Story with its state-of-the-art workspaces, retail havens, entertainment zone, F&B options, and signature hospitality services. With the latest in fashion trends available here at Inorbit mall, Hyderabad is every fashionista’s ultimate shopping destination. At present Cover Story has 22 exclusive outlets across Delhi NCR, Mumbai, Bangalore, Surat, Kolkata, Coimbatore, Kochi, Chennai, Indore, and Vadodara. Overall Cover Story is present across more than 80 doors at Central, Kapsons, Iconic & Sohum. 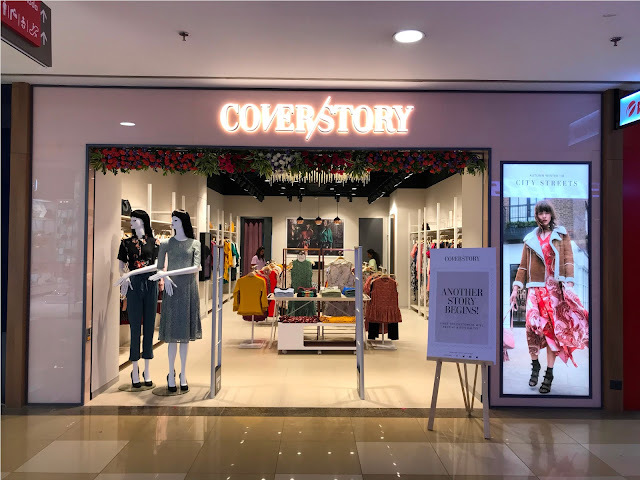 Additionally, the brand has its own online store to help cater its customer from anywhere, by simply visiting the website – www.coverstory.co.in Cover Story is retailed through online marketplaces including Myntra, Jabong, Amazon.in and Koovs.